Spring in North Texas is a time of renewal, when the sunny weather and bright blue skies make it a joy to be outdoors. While you could enjoy the season just about anywhere in the region, few places offer as much as The Colony. 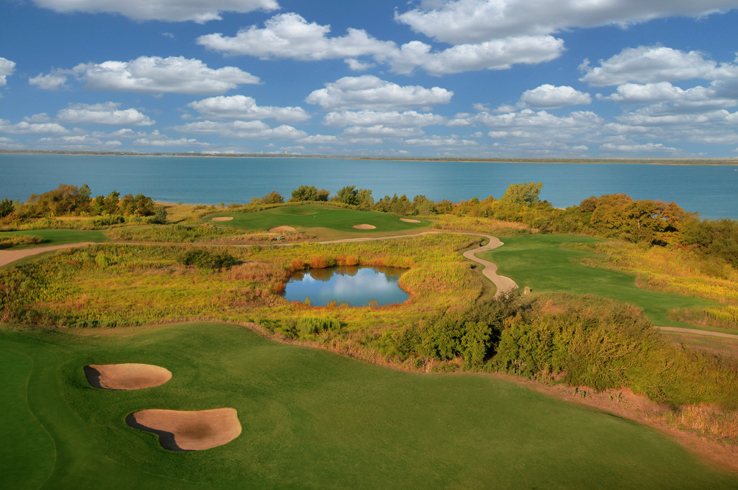 Play a few rounds on some of the best public courses in the Dallas and Fort Worth area and hike remote trails or paddle on the vast Lewisville Lake. These are, of course, just a few ways you can get the most out of spring in The Colony. Read on to find out more. Planning to visit later in the year? Don’t miss the Volunteers of America Classic, Red Bull Soapbox Derby, Bow-Wow Luau, or American Heroes: A Salute to Veterans, just a few of The Colony’s annual events held in the fall. Sometimes, the best thing you can do on a sunny spring day is to go fly a kite. Yet this is just part of the high-flying fun at Up, Up & Away! Festival of Flight (April 27), when colorful kites fill the sky above The Colony’s Prestwick STEM Academy. 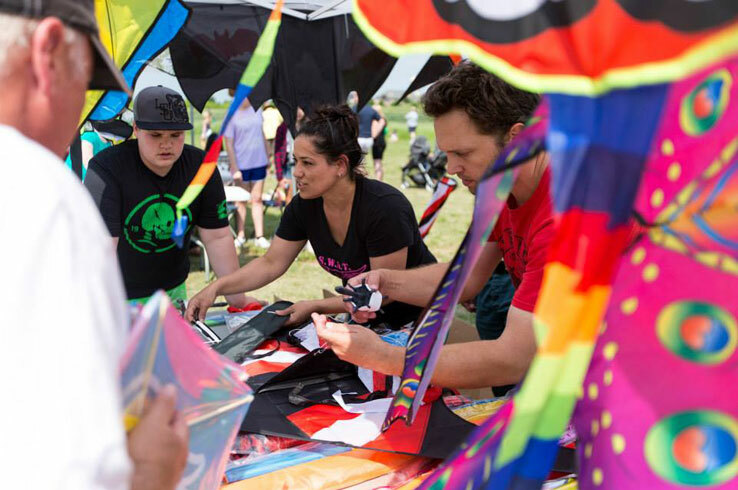 Not only is this free event the perfect chance to introduce your kids to kite flying, but there are plenty of other things to enjoy throughout the day. Make paper airplanes and butterfly bracelets, watch a birds of prey demonstration, and let your youngsters sit in the cockpit and play with the controls of the Frontier Flyer plane from the Frontiers of Flight Museum. When your appetite soars, enjoy selections from the on-site food trucks and listen to the live music before settling in for a movie in the evening. The Colony’s spectacular spring weather and outstanding golf courses will inspire you to hit the links. Play a round (or several) at such 18-hole masterpieces as the Old American Golf Club, Tribute Golf Links, or the nine-hole Stewart Peninsula Golf Course. The latter two offer compelling links-style courses that serve up unique challenges at each hole, while the Old American Golf Club incorporates the area’s natural beauty in its design by Tripp Davis and 12-time PGA Tour winner Justin Leonard. Old American Golf Club is also proud to host the Volunteers of America Classic (Sept. 30 – Oct. 6), the state’s only LPGA tour event. All three golf courses are perched on the shores of Lewisville Lake, so try not to get distracted by all the gorgeous views as you tee off. While these courses are impressive on their own, they aren’t the only way you scratch your golfer’s itch. Dig into something delicious and sip on a few drinks at TopGolf, an interactive driving range combined with a bar and restaurant that tees up a fun night out with friends (even those who don’t play golf). For a different take on the sport, head to the disc golf course at Bill Allen Memorial Park. Test your arm strength, and your accuracy, as you make your way through the 18-hole course set in dense woods and along a small creek. No matter what type of golf suits you best, The Colony has something for you. Unless you’ve been living under a rock, you know what Magnolia Market is. The retail face of HGTV stars Chip and Joanna Gaines, the market is a showcase of their charming farmhouse style. If you’re in The Colony, you don’t have to go far to shop for the furniture and home décor pieces that make up Joanna Gaines’ Magnolia Home collection. Find your way to Nebraska Furniture Mart, the largest home furnishings store in the country, and your home will look just like those you’ve seen on Fixer Upper. Of course, the Magnolia Home collection isn’t the only thing you can shop for here. Stroll through the 560,000 square feet of showroom and you’ll come across everything from couches, beds, pool tables, electronics, treadmills and dumbbells and even grills and patio furniture. Whatever you need for some at-home inspiration, you’ll find it at Nebraska Furniture Mart. When the springtime sunshine warms things up around here, you’ll want to spend as much time outside as you can. One of the best ways to get outdoors is to hike along the seven miles of shoreline trails in The Colony. These trails are environmentally sensitive and feature designated parking, bike repair stations, water fountains, benches, informational signage, and more. 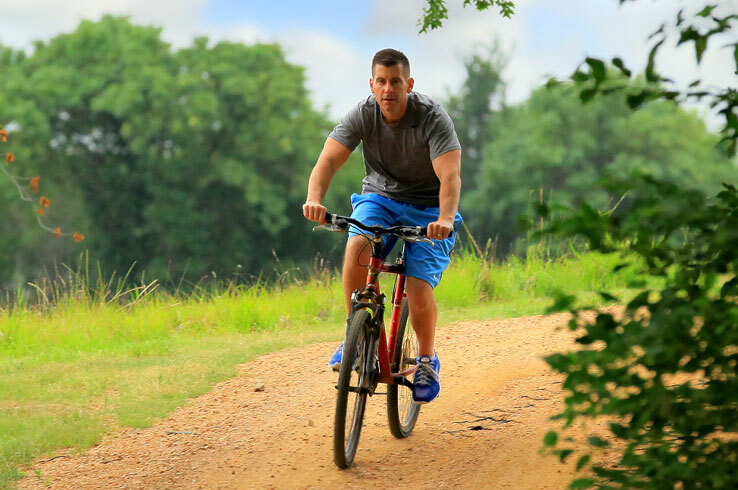 Start at the Shoreline Trail, a 3.5-mile pathway of stamped concrete and decomposed granite that winds along Lewisville Lake and over rustic bridges. Not far away is the 3.1-mile-long Tribute Shoreline Trail, where you’ll wander past hardwoods and through wetlands until you reach the southern tip of the peninsula. Admire the sweeping view of the lake, then start making your way back to find more places to explore. Spend any time in The Colony and you’ll probably come across Lewisville Lake. On a warm day, the lake's shimmering waters just may entice you to jump in and cool off. That’s exactly what you can do at the sandy beaches in Stewart Creek Park and Hidden Cove Park and Marina, two parks perched on The Colony’s 23 miles of shoreline. Soak up all that abundant North Texas sunshine and experience everything else these parks have to offer. Hike remote nature trails, cast your fishing line from the shore, and reserve one of the tent or RV camp sites to spend the night under the stars. Both spots also have boat ramps, while Hidden Cove Park has a restaurant and pontoon boat, jet ski, kayak, paddle board, and cabin rentals. 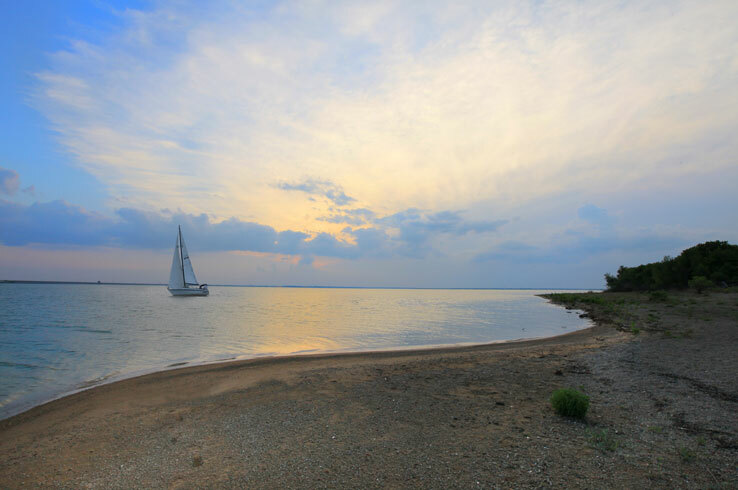 Whether you love the simple joys of sunbathing and fishing or you want to spend an afternoon exploring Lewisville Lake, The Colony is the perfect starting point to your day out on the lake. 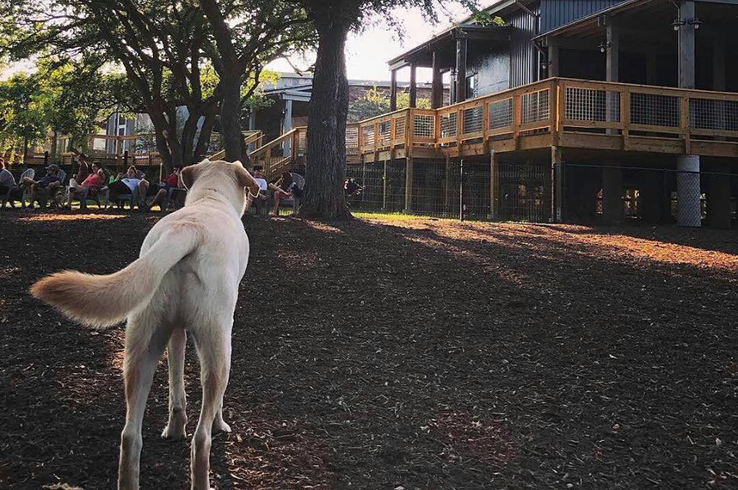 For those of you who can’t help but travel with man’s best friend in tow, The Colony has a spot where both of you can savor a sunny spring afternoon. The Shacks Dining & Dog Park merges eclectic dining with a play space for your puppy, a combination you won’t find anywhere else. Dig in to some delicious ramen at Ten Ramen, an authentic Japanese eatery by Teiichi Sakurai, a James Beard Award semifinalist. If a juicy burger is what you’re after, follow your nose to Dallas restaurateur Frank Carabetta’s Dirty Burger Bar. Be sure to grab a drink or two at Turbo Coffee, a super-charged café serving up light bites, wine, and your caffeine fix. These are just a few of the six restaurants you can choose from before you take your fur baby out for an afternoon romp. Let your pooch off their leash so they can play and socialize as you hang back and watch all the fun. There are even separate areas for large and small breeds, so everyone can relax, play, and have a great time. Bonus: If you’re looking for a nighttime hangout spot in The Colony, check out The Beachcomber Bar and Grill. Order one of the beers on draft at the bar and watch the players duke it out on the sand volleyball courts throughout the week. There are even trivia nights, the perfect opportunity to show off your knowledge of obscure 80’s TV shows. Once the sun sets on The Colony, the party starts over at Lava Cantina. This restaurant and live music venue cooks up creole food with a Mexican twist, like a catfish Atchafalaya served over a roasted poblano corn maque choux and enchiladas rolled in French Quarter-style crepes. 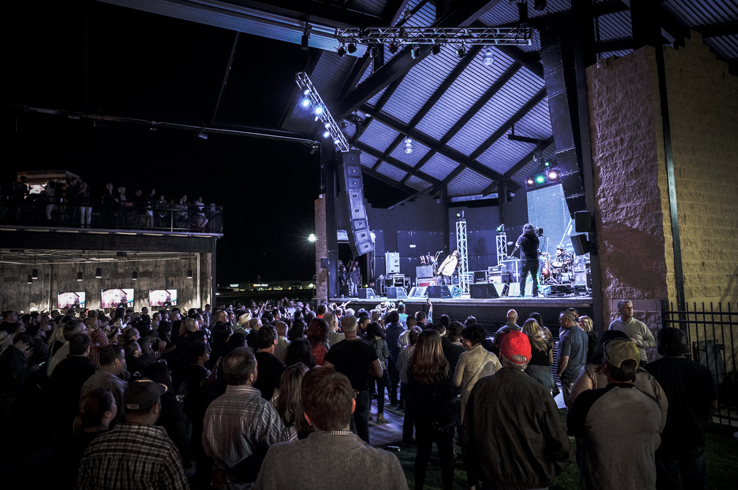 Fill up on your dish of choice and stick around for a show headlined by top regional or national bands that play everything from country and rock and roll to hip hop. Shows are held here several times a week, often on Thursday through Saturday nights. See a full schedule and get your tickets here. See professional golfers in action, hike scenic trails while enjoying Lewisville Lake, and take in all the other unique experiences that await in The Colony this spring. 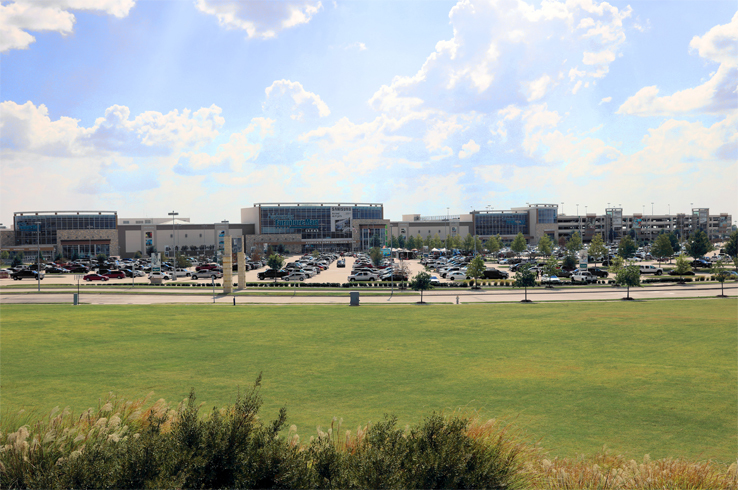 Find out more about this North Texas-area destination here.